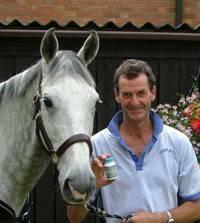 New Zealand’s favourite Equestrian medal winner announces his endorsement of 4Life Transfer Factor products. Voted ‘Rider of the 20th Century’ by the international Equestrian Federation, Mark is a four-time Olympic medalist, including two Golds; winner of Badminton Horse Trials three times and the Burghley three-day Trials, five times. Not one to sit back and retire, Mark has returned to competition with a vengeance! In May 2008 he qualified for the 2008 Beijing Olympics at the three-day event in Samur, France. 4Life Executives are pleased to announce that Australian professional snowboarder Torah Bright has joined Team 4Life®. Torah, an Olympic Gold and Silver medalist in the Half-pipe competition has also won two Gold and two Silver medals for her performance in the SuperPipe competition at the Winter X Games in Aspen, Colorado. (2006-2009). In 2013, she took 1st place at the Sprint U.S. Grand Prix at Copper Mountain, Colorado, USA. Torah grew up in Cooma, New South Wales, Australia. Her mother Marion, a longtime 4Life distributor, introduced Torah to 4Life products in 2013. Since that time, 4Life® Transfer Factor Plus® Tri-Factor® Formula, 4Life Transfer Factor Renuvo®, and 4Life Transfer Factor® RioVida Burst® Tri-Factor® Formula have become some of her favorite products. As Australia’s most successful Winter Olympics athlete, Torah is preparing to compete in the Women’s SuperPipe competition for the 2015 Winter X Games in Aspen, Colorado.